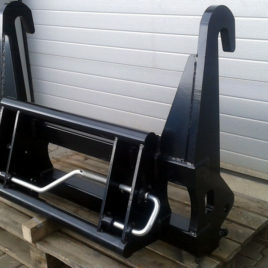 The JCB 520 / EURO adapter permits mounting of accessories fitted with a Euro hitch to a JCB 520 loader. 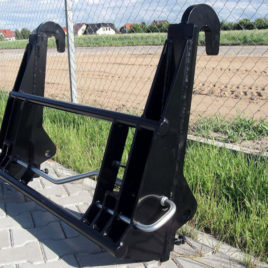 The JCB Q-FIT / EURO adapter permits mounting of accessories fitted with a Euro hitch to a JCB Q-FIT loader. 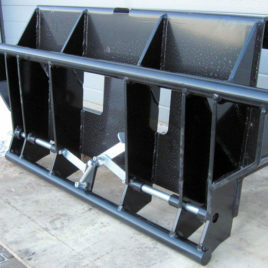 The JCB Q-FIT / SMS adapter permits mounting of accessories fitted with an SMS fixture to a JCB loader with a Q-FIT fixture. 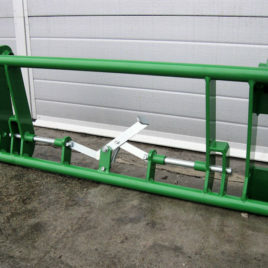 The MANITOU / EURO adapter permits mounting of accessories fitted with a Euro hitch to a MANITOU loader. 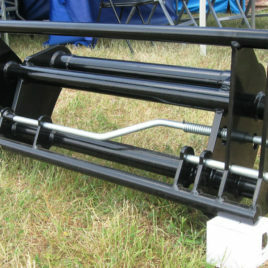 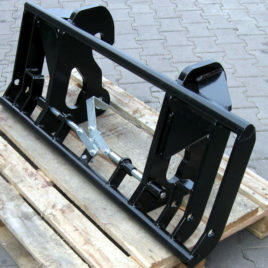 The SCHAFFER / EURO adapter permits mounting of accessories fitted with a Euro hitch to a SCHAFFER loader.